Eating An avocado is good for your health, as its believed that an avocado a day can lower your level of cholesterol. 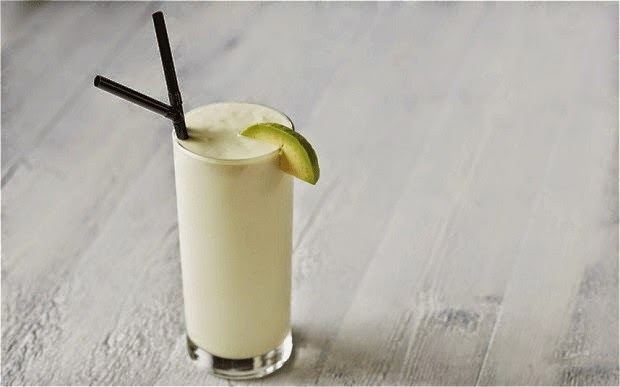 Today we are going to provide you with an avocado milkshake recipe, and details on how to make avocado milkshake recipe. Avocado is a very healthy fruit, it has zero cholesterol and its a good source of potassium, vitamin K, vitamin B6, vitamin C and vitamin E.
Half-fill a blender or juicer with ice cubes/Cold water and add the avocados and sugar. Blend until smooth, then slowly pour in the milk. Add enough sugar until it is sweetened to your taste, then transfer to clean glasses and serve.